Swarthmore’s Megan Heckert, our instructor (and a new Assistant Professor of Geography and Urban Planning at West Chester University) introduced us to the ArcGIS software and related issues of open data, cartographic design, and geocoding. Many of us quickly learned that GIS software has a steep learning curve. “It takes a while before [GIS] gets to the part that tells you something about the world,” Megan warned us during her lectures and hands-on activities, as she valiantly answered our questions and, sometimes, witnessed our many frustrations. Having left the 21st century world of mapping with more questions than answers, I returned to my office and began to explore the collection of Bryn Mawr campus maps digitized and made available through Triptych, the Tri-College Digital Library.The questions we learned to ask in the GIS workshop guided my browsing: what were the purposes of these maps? Who was the audience? What kinds of information could be gathered from their design? 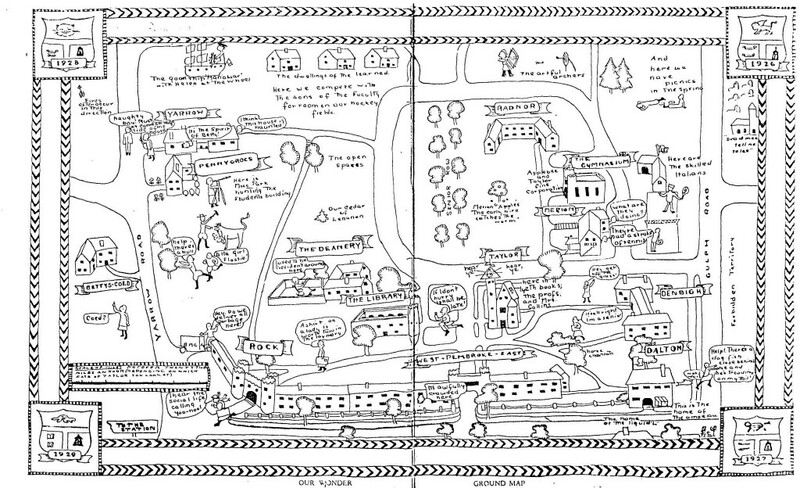 Campus Map, 1934. Bryn Mawr College Special Collections. 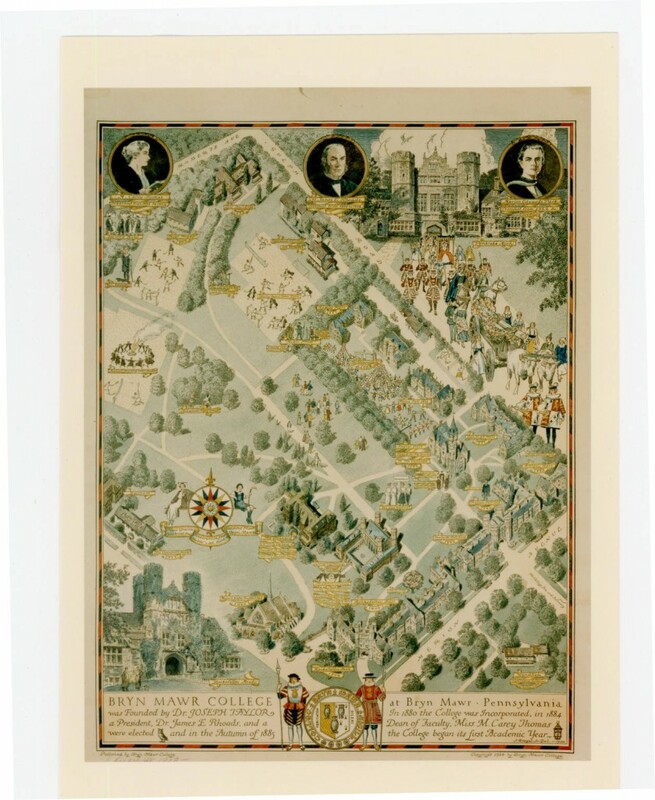 The Bryn Mawr maps tell stories about how the College has viewed itself over time. They’re a fascinating resource for the women’s historian — I can’t wait to use them in the class I’ll teach next semester on women’s education history. My favorite maps are those created by students, full of inside jokes, some still-legible to the contemporary Mawrter. Campus map in The Book of the Class of Nineteen Twenty-Six, 1926. Bryn Mawr College Special Collections. Do you have a favorite mapping project to share? I’d love to hear more in the comments. 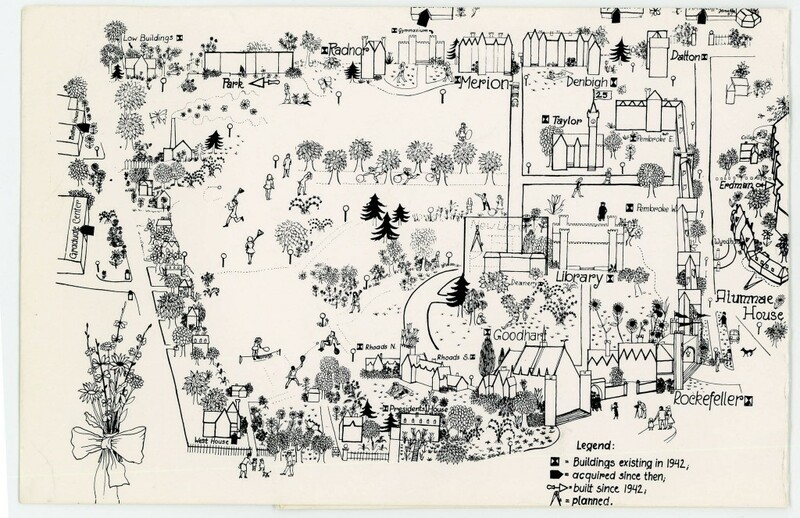 This entry was posted in Features, News, Resources and tagged Bryn Mawr College, Connecting the past with the present, digital collections, Digital humanities, images of women, mapping, narratives by Monica L. Mercado. Bookmark the permalink. Pingback: “Where We Are…” | Monica L. Mercado, Ph.D.